This topic contains 1 reply, has 2 voices, and was last updated by FXGuru 5 months, 2 weeks ago. Do you know that most of the people lose their money because they follow and develop a complex strategy? It may seem odd to you but when people are looking for a plan, they always prefer the complex one. They think as there are many parts, it will be hard for the trends to beat this plan. They use this plan in their career and as a result, they lose the money. This article will tell you one very effective tips about trading successfully. Many people overlook this plan because they are only obsessed with the complex plans. Read this article and it will open your eyes how simple strategy can be used successfully to make money. Always keep in mind that if you do not understand a plan, there is no use if it is the most popular plan among the traders. You need to know a plan thoroughly before it can be used successfully. You might have seen the novice traders using too many EAs and indicators. Just by seeing at their chart you will understand they are trying to assess too many variables. We are a human being and it’s not possible for us to assess tons of data and find one simple conclusion. In order to avoid such problems, the Singaporean traders always prefer to trade with a simple system. Your system should be developed based on the core factors of the market. Developing a strategy from the scratch is a very cheapening task. You have to identify the market trend and use the key trading zones as your trading spots. Though you can place pending orders at the key levels this is not going to make you rich. You need to use the candlestick confirmations to increase your winning chances. Forex trading is nothing but a business. You need to operate this business in a very organized way. The first trick of developing a successful yet simple trading plan is to divide it into smaller parts. Remember what our teacher told us when we were children on how to write a big sentence? They told us to break the long sentences into smaller parts and this way we get to express pour feelings into smaller parts. It was simple and we could tell what we wanted to tell. This is the same trick that is using in the industry. Before you select any strategy and start using it on the live currency trading, divide into smaller parts and focus your attention. This way you can get more information about the trading. After you have broken the plan into smaller parts, you need to understand what it means. It is a big problem for the traders. They develop a strategy after months of hard work but they do not know what the plan means. They have many confusions and it makes them pay at the end. You should not give the market this chance and understand your plan from the in and out. You need to know how every single change in the position, stop-loss or leverage will affect the trading outcome. If the strategy seems complex to you, ditch this plan and work on a simple one. The tricks of professional traders are very effective because they are based on the basic principles. If you are trying to outsmart the market, you will lose your money because only simple but effective plans are rewarded by the industry. Keep polishing your trading strategy until it becomes perfect. There will be some flaws always but never mind them. Always try to improve it than the last time but do not make it complex by trying to do so. A simple strategy is good enough if it can give you profit. Yeah, there is no rocket science in that. When one talks about keeping things simple, it doesn’t mean trading randomly and don’t think much. It means trying to keep up with logical money management and trade with following of the trend instead of doing anything over the top. 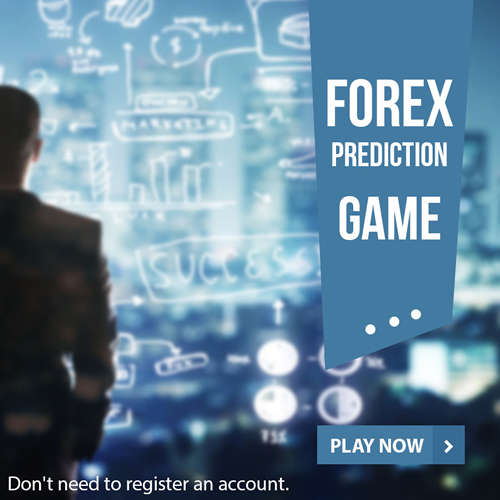 I have straight forward route of eur to prediction, which allows me good ideas to trade upon. However, you got to ultimately trade with proper strategy not guess work! This reply was modified 4 months, 3 weeks ago by Nik.